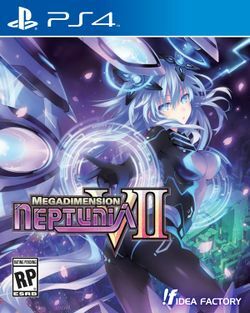 Megadimension Neptunia VII (pronounced "Vee Two") is a role-playing game developed by Compile Heart and published by Idea Factory. It is the fourth main series game in the Hyperdimension Neptunia series, and the first on the PlayStation 4. It was released on April 23, 2015 in Japan, February 2, 2016 in North America, and February 12, 2015 in Europe. This page was last edited on 8 July 2016, at 13:06.